I put up a form yesterday for anyone who would like to provide their opinions about SOC reports, and the following are the results so far. I will continue to update this page as the results come in. 1. What do you think about the launch of SOC reports? Who was responsible for the [SAS 70 has been replaced by SSAE 16] spin on the AICPA's announcement that [SAS 70 was replaced by SOC reports]? · The AICPA is responsible. · The industry itself. People were looking to create an easy explanation. CPAs explained to their clients that "next year, we'll be doing a SOC 1 instead of a SAS 70." The CPA may have had an engagement letter that lasted for SAS 70s until 2011, 2012, etc. and they explained to their clients what the difference was. But I think there is a direct linkage between the SAS 70 morphing into the SOC 1. Although I don't think there was enough promotion from the AICPA that mandated CPAs to more thoroughly examine and define ICFRs. Even allowing for CPAs to utilize judgment, an ICFR risk assessment may be a helpful tool that is required as part of audit documentation to demonstrate the reasons the auditors are concluding that a control is or is not an ICFR. 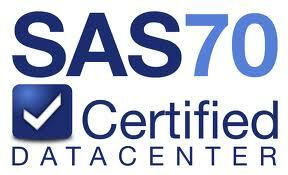 · Good step in the right direction over SAS 70 reports ,but there still needs to be refinement. · This is more confusing for the non-compliance IT professionals than the SAS70s. Like it or not most senior IT executives I am familiar with expect there to be one report that covers everything. They understand it better if I say privacy controls are not covered instead of saying there is no SOC 2 report. · As a organization that previously completed a SAS 70 and now completes a SSAE 16, we received most of our information from our auditing firm (one of the big 4) and they did an excellent job of explaining the move and purpose. 2. What do you think the effect of this spin has been on the marketplace? · Zero change, everyone is going out to get SOC 1, 2, and / or 3 attestations. Large accounting firms are gouging the market, again. 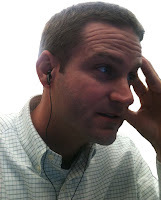 · I am not aware of any "spin," per se. What I see is that people were expecting a SAS 70 last year and found out from their CPAs that SAS 70 is no longer a standard. I think from the get-go, SSAE 16 was seen as a replacement for SAS 70. I think the AICPA needs to take control of the use of these reports and clearly define their use/misuse in order to prevent market demand from dictating how they are used/misused. · Marketplace as a whole, not significant. Clients are starting to ask for either a SSAE 16 or a SOC 2 but in the end, 90% of all clients looking for these reports are just trying to check a box for their regulators. Until the regulators that are requiring organizations to check the box provide more guidance on what what the appropriate audit report should be things aren't going to change significantly. 3. How do you think the market missing the opportunity to adopt SOC2 for assurance regarding security and availability in the first year of SOC reports will affect it in the coming years? 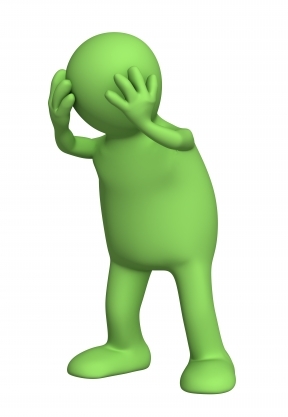 · Haven't seen our auditors talking much about it... nor our customer's auditors. And if they don't, our management doesn't care. · SOC2 is more prescriptive than SAS 70, so it is better overall. Not a lot of people jumped, but many organizations are demanding the SOC 2 from their service providers this year, therefore not much missed. · Unless there is a major change, the market momentum is in the direction of the SOC 1 being the report used/demanded. The SOC 1 is cheaper and less rigorous. If a company can hand over a SOC 1 and generate new business/close the deal, the SOC 1 is a document valuable for that use. The market will eventually demand those reports and if someone hands that same business lead a SOC 2, the lead may say "what is this? Where is the SOC 1?" 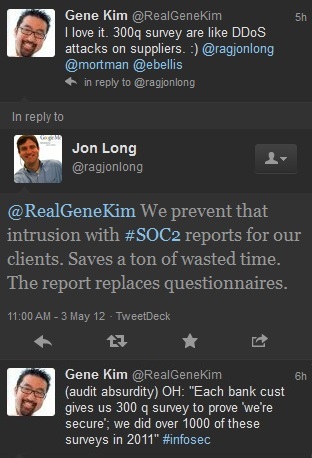 · I think it will take the companies receiving the reports to pressure the vendors to include a SOC 2 report. · In the long run, I don't see the lack of adoption year 1, 2, or even 3 being significant. They are options available and it will take time for the market need to reach a point before organizations, particularly vendors, will take set aside the effort to adopt the correct report type(s). Unfortunately this is a catch-22 situation, vendors won't move unless clients ask/tell them to and clients won't know to do so until another force compels them to ask. 4. What are some of your personal experiences with regard to these reports? · We use Soc 1 and everyone is happy. 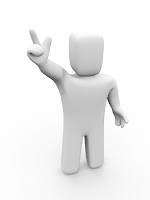 · There are a lot of CPAs looking for IT / CISAs and similar to help interpret the SOC 2 and SOC 3, and even more IT firms looking to hire a CPA so they can sign off. I wish everyone would go NIST, HITRUST, etc. and leave the financial side to SOC1. · They are being rampantly misused and misunderstood. · I think about 25% to 50% user control considerations make no sense and you wonder if they are reviewed by anyone before the report is produced. 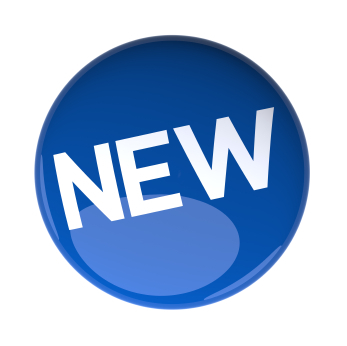 · Coming from an organization that has historically done SAS 70s and being moved over to SSAE 16 last year, we are now just starting to assess what report type we really should be on based off the services we offer. The problem is, most of our clients don't even know truly why they need a report (i.e., checkbox compliance) so asking them what they want they can't decide. I think the two things that need to happen to get people onto the right reports is, 1) the audit firms having a frank conversation with their clients and making it know the report type they currently have isn't best suited for their needs. 2) the regulatory bodies that be, that require organizations to collect "audit reports" need to provide better guidance on what the appropriate type of audit report is based off services in-scope. 1. Why do you think service organizations that used SAS 70 to provide assurance regarding security and availability gravitated to SSAE 16 instead of SOC2? 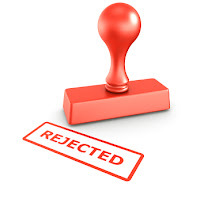 · Most of our clients didn't feel they had another choice. Also, SOC2 is more specific. SAS 70 was nebulous. Many companies that had breaches and financial compliance issues had passed a SAS 70 with flying colors. · Because under SAS 70 they were allowed to include whatever controls they wanted. This is partiality the fault of the auditing firms for allowing organizations to include non-ICFRs under SAS70 and then also allow those same clients with those controls to automatically roll into a SSAE16. Further, since they were allowed to include controls such as security and availability that are non-ICFRs and allowed to roll into a SSAE16 there was no need to undertake the effort to convert over to a SOC2 that likely would result in them needing to test against more controls due to the defined criteria which didn't exist under SAS 70/SSAE 16. 2. Do you think SOC2 reports provide sufficient assurance regarding security and availability? If not, how do you supplement the report? · No. It is still too high level. I would use NIST, HITECH, ISO2007, etc. 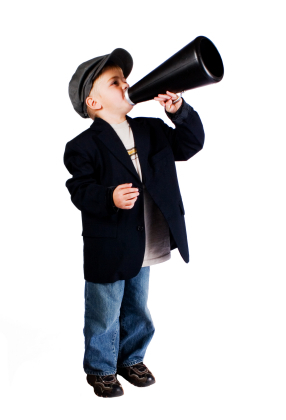 · All depends on the audience receiving the report. if they are an organization that is small or has a loosely governed Information Security Program themselves then it is likely fine (i.e., they use checkbox compliance). Any organization that is significant in size, typically requiring they have a stricter, more defined Information Security Program themselves will be more critical of what controls they feel are needed because in the end, SOC 2 or not, organizations need to ensure their vendors have controls implemented that are equal to the controls they have implemented themselves. 3. What advice would you give other user entities? · Do what your customers are asking for and not a bit more. Deal with security as a secondary function to compliance. 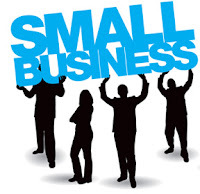 · Use common sense for your industry, size, and purpose. Do the right think to make sure you are secure and defensible in your actions. Don't take the easy way out by doing the minimum necessary, no matter the control paradigm. · Try to get a copy of the report and review the control gaps and UCCs with senior management before the contract is signed. · Make it clear to your vendors if the service they offer you impacts your financial statements and if so, why. If they don't have an impact to your financial statements (or at least not a direct one), do not ask for or accept a SOC1 from your vendor. Instead, push them on providing a report that speaks more directly to the controls you feel are relevant to the service they are offering you (security, availability, process integrity, etc.). 1. Why do you think customers that requested SAS 70 to provide assurance regarding security and availability requested SSAE 16 instead of SOC2? 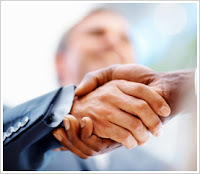 · They either thought they had no choice or their clients/customers required them to do so. · Because they either don't know the difference or they know the difference but the SSAE 16s they are providing include all the controls they feel are reliant to their service, even if those controls aren't ICFRs. 2. What do you think about SOC2? Do you think that the Trust Services Principles and Criteria are adequate to provide assurance regarding security and availability? · I think it's okay but haven't actually been through one yet. · Yes/No. It is better than nothing, but in the end, the adequacy of it is all dependent on the implementation by the service provider. Service providers get to craft their own controls and determine the scope as it pertains to those controls so you are always going to run into reports that although they are exception free, do not truly represent their environment. 3. What advice would you give other service organizations? · Investigate specifically what the customers want and do that. · Start having discussions with your clients to better understand why they are asking you for a report. From there, determine if the report you are providing them is best suited to address their needs. 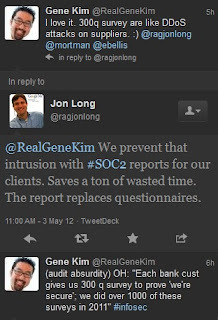 Please provide your opinions about SOC reports. I will compile everyone's anonymous feedback in a separate blog post. I've reached a point where I think I've said all I can say about SOC reports. So now, I want the world to hear what you have to say. I would like to interview you if you have strong opinions about the first year of SOC reports. I will do a video like the ones I did for OnlineTech and CBeyond, or we can just do a Q&A format like is done in magazines if you would prefer. What do you think about the launch of SOC reports? Who was responsible for the [SAS 70 has been replaced by SSAE 16] spin on the AICPA's announcement that [SAS 70 was replaced by SOC reports]? What do you think the effect of this spin has been on the marketplace? How do you think the market missing the opportunity to adopt SOC2 for assurance regarding security and availability in the first year of SOC reports will affect it in the coming years? What are some of your personal experiences with regard to these reports? Why do you think service organizations that used SAS 70 to provide assurance regarding security and availability gravitated to SSAE 16 instead of SOC2? Do you think SOC2 reports provide sufficient assurance regarding security and availability? If not, how do you supplement the report? What advice would you give other user entities? Why do you think customers that requested SAS 70 to provide assurance regarding security and availability requested SSAE 16 instead of SOC2? What do you think about SOC2? Do you think that the Trust Services Principles and Criteria are adequate to provide assurance regarding security and availability? What advice would you give other service organizations? Why do you think some service auditors allowed their clients to include all of the same controls that were previously included in their SAS70 reports? 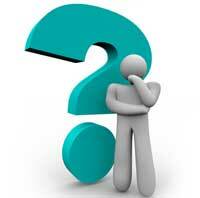 Do you think more clarification is needed from the AICPA regarding what should be considered ICFR? What advice would you give other service auditors? If you would rather remain anonymous, please take a few moments to insert your comments below. We look forward to hearing from you. Last week I reviewed a recently published whitepaper on SOC reports, authored by Sandy Torchia and Mark Lundin. I applaud them on the amount of work they obviously poured into providing this guidance and could speak at length about the positive aspects of every page, but I have two major things against it. "A SOC 1 report generally should not cover services or control domains that are not relevant to users from an ICOFR perspective, and it specifically cannot cover topics such as disaster recovery and privacy." The word "generally" leaves the door wide open for anyone who wants to make the case that they are the exception and the words "should not" imply there is no definitive rule. The AICPA has been clear on this. SOC 1 is for ICFR, and SOC 2 is for non-ICFR. There are no maybe's about it. No wonder the market is so confused. "*Note: In certain cases, a SOC 1 report might cover supporting IT controls only, depending on the nature of services provided." Almost every word in this sentence is ambiguous. If I were a service organization or a service auditor looking to keep things exactly the way they were under SAS 70, I would find huge comfort in this note. The biggest problem is that "supporting IT controls" can be defined however I want. The only real test is that the controls be "reasonable in the circumstances", according to the standard that SOC 1 is based on; SSAE16 (AT-801). Change does not happen when people who do not want to change are given options to stick with the status quo. Last week I blogged about how the market does not seem to place value in names and reputations of service auditors when it comes to Service Organization Controls (SOC) Reports in my post titled "What is the Value of a Good Name." This is demonstrated in the market by the fact that small boutique CPA firms are included in RFP distribution lists along side of Top 10 CPA firms, and are even winning engagements over Top 10 CPA firms. These firms, who had to stop using the names of their firms, that became irrelevant when SAS 70 was replaced by SOC reports last year, have attractive audit fees, but they do not have as much to lose as the larger firms. Larger CPA firms that, in some cases, have reputations spanning over 100 years do not roll the dice on attestation engagements that risk damaging their names. They make sure that audits are performed with sufficient care to mitigate that risk, and that care translates to more time spent conducting the audit. More time translates to higher cost. Higher cost means higher audit fees. So I got to thinking, "How can we change this?" I mean, as long as user organizations see no difference between reports signed by small boutique CPA firms and reports from Top 100 or even Top 10 CPA firms, then what's the use? Why should Top 100 CPA firms even bother risking their reputations on SOC reports? There needs to be a Global Registry of Service Organizations similar to Visa's Global Registry of Service Providers that lists service organizations along with their auditor, and the date of their attestation. The transparency that such a list provides will distinguish the service organizations that used larger CPA firms from those who used small boutique CPA firms. Service organizations that make the extra investment to secure a report from Top 100 CPA firms may be in a more competitive position in the market as compared with those who do not. An additional benefit to creating this registry will be the ability to cross reference against DataLossDB.org to see who the service auditor was when companies are breached. Service auditors with good track records can be rewarded, and those with bad ones can be replaced. I think that this registry will need to be ultimately created and kept by an independent organization such as the AICPA, or incorporated in registries such as the Cloud Security Alliance's CSTAR, but I also realize that these things take time. 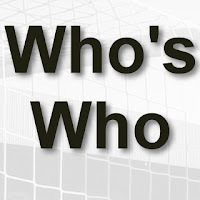 So to get the ball rolling in the meantime, I have added a page to my blog called "Who's Who." 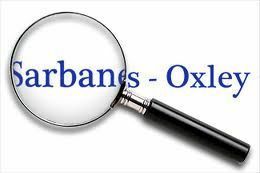 This registry can be populated by anyone, so whether you are a service auditor, service organization, or a user entity, please feel free to enter the information as it is available to you. I am going to be entering every piece of information that I come across as well, so this could end up being a pretty decent list. I will compile the information, and refresh the list periodically. Together we can change the risk assurance industry. Let's go for it! What is the Value of a Good Name? Quick, what is the first thing you think of when you hear the name "Arthur Andersen?" I am not going to get into the details of the Enron scandal, but if you are like me, you associate Arthur Andersen and the firm's demise with Enron. I looked Arthur Andersen up on Wikipedia, and learned a little about who the founder of this CPA firm was. 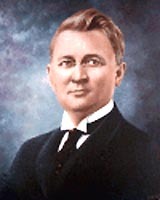 According to Wikipedia: "Andersen, who headed the firm until his death in 1947, was a zealous supporter of high standards in the accounting industry. A stickler for honesty, he argued that accountants' responsibility was to investors, not their clients' management. During the early years, it is reputed that Andersen was approached by an executive from a local rail utility to sign off on accounts containing flawed accounting, or else face the loss of a major client. Andersen refused in no uncertain terms, replying that there was "not enough money in the city of Chicago" to make him do it. Leonard Spacek, who succeeded Andersen at the founder's death, continued this emphasis on honesty. For many years, Andersen's motto was "Think straight, talk straight." So how did such an honest man's name get tarnished to the extent that his legacy, a Big 5 CPA firm, had to go out of business a few decades after his death? All it took was the association of his name with dishonest people. 9.3 billion dollars per year was the value of having a good name to the formerly respectable CPA firm Arthur Andersen. Based on this example and others that history has given us, it is safe to conclude that having a good name is equal to the value of an auditor's very existence in the industry...or is it? What happens when honesty, integrity, and reputation is not valued in the market? Yesterday, I found myself explaining why a prospect should choose one CPA firm over another for their SOC engagement. 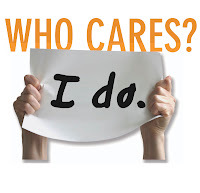 When I explained to them that the value of one CPA firm over another boils down to the reliability of the name on the report, they asked me if anyone really cares about that. I replied that if that if no one cares, then it almost makes sense to go with the absolute lowest price that you can obtain the SOC report for. The only problem is that the auditor I select to provide assurance about me is a reflection of my own integrity. Please let me explain. A couple of months ago, Ernst & Young was selected to be Facebook's auditor. Why would Facebook select Ernst & Young over some small, unknown, boutique CPA firm that specializes in auditing financial statements of social media companies? Well, it is obvious at that level. Facebook's IPO could be worth 100 billion dollars, and they want to inspire the most confidence that their accounting is accurate. How does that translate down to the level of this prospect though? Even if they could afford the audit fees, Ernst & Young would probably not even accept this prospect as a client for being too small. This is where strong, reputable, regional CPA firms come in. For example, in Texas, one of the CPA firms I work with is Whitley Penn who has been listed on the “Best of the Best” list of INSIDE Public Accounting's rankings of the top 100 accounting firms in the U.S., for ten of the last eleven years. They have offices in Dallas, Fort Worth and Houston, 36 partners, 280 employees, and a worldwide network affiliation via Nexia International. Most of the CPA firms I work with are on the Top 100 list. Contrast the recognized reputation of Whitley Penn with several boutique CPA firms that I know of, who stopped using the previous names of their firms when the SAS 70 standard was replaced by SOC reports last year. Their previous name being no longer relevant, they started or resumed doing business under different names, and yet they still appear next to credible CPA firms in RFP distribution lists?! I recently heard from a Top 10 CPA firm that they lost a SOC engagement opportunity to one of these boutique CPA firms. When Top 10 CPA firms lose audit engagements to small boutique CPA firms that specialize in providing SOC reports, there is a major problem in the market. If I selected a boutique CPA firm over a Top 10 CPA firm, I would not blame anyone for considering me the anti-Facebook in terms of caring what people think about my auditor. If I did this, it would demonstrate to others that I place no value whatsoever in a good name, and perhaps it is a reflection my integrity. In selecting a service auditor, or a service provider for that matter, I would ask myself one simple question; "What does the firm stand to lose if my data is compromised, and their firm's reputation is called into question along with mine?" Do you want a firm that has little to lose, or one who has much to lose. I guarantee you that the firm with the most to lose will be the most thorough in their examination of your internal controls. Perhaps that is where the issue is though. Much like the railroad utility executive's attitude toward the young Arthur Andersen, maybe companies want their auditors to look the other way. It's time we take a stand against cheap risk assurance, and start relying on CPA firms with good names again in the risk assurance industry. 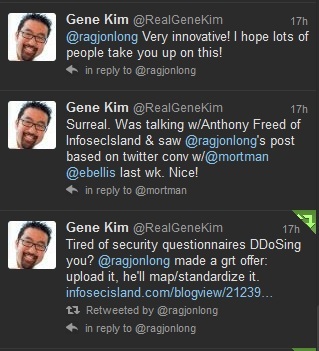 Last week, I had a conversation with the Founder and CTO of Tripwire, @RealGeneKim on Twitter. Gene was lamenting the fact that each of his bank customers hands them a 300 question security survey to complete in order to prove that they are secure. He said that they answered 1,000 of these in 2011 alone. I popped in on his timeline and said that a SOC2 engagement, and subsequent report could help reduce or eliminate those surveys. He said he loved it because,"300q surveys are like Distributed Denial of Service (DDoS) attacks on suppliers." This is a widespread issue facing CISOs and CTOs. In fact, a CEO (@ebellis), and Chief Security Architect (@mortman) at two well-known companies also joined in the conversation and confirmed the headaches and resource drain these surveys cause. This is just one of the opportunities that SOC 2 reports present to service providers and service auditors. The reason these survey exist is that security professionals know that SAS70, and SSAE16 are unreliable indicators of an organization's security posture. User organizations figured out a long time ago that if they want confirmation of how secure their suppliers are, they have to find out for themselves because a sufficient third party attestation did not exist. This is also where the challenge to service auditors is though. In order to replace customer security surveys and customers exercising their "right to audit", the SOC 2 engagement and resulting report needs to be at least as thorough as customer surveys. That's not all though...there's some disturbing news. In dialoguing back and forth with @ebellis and @mortman, it became apparent to me that they would prefer a kick to the tires level of an audit like SAS70 or SSAE16, and live with the security surveys. That's a huge problem for service auditors. Why might this be the case? We went back and forth about stricter audits not being the answer, and talked about the transparency CloudAudit provides, but here's my analysis. Service auditors have a lot of work to do to earn the trust of security professionals. 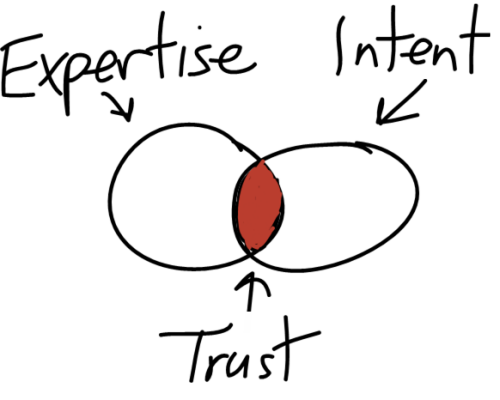 To quote @mortman, "Why trust auditors more than vendors?" This problem also manifested in a SOC 2 audit clause that I blogged about in my post titled, "Do You Trust Your Service Provider's Auditor?" This is an extremely damning statement that should be taken seriously by service auditors. How in the world did we get to the place where auditors are not trusted? I can tell you how I think it could have happened. Could it be that conflict of interest has established a foothold in the risk assurance industry? Please see my posts on the topic titled: "Conflict of Interest is the Root of Cheap Risk Assurance" and "What is the Value Proposition of Knowing My Son's Password?" All of that being said, I still firmly believe that SOC 2 presents an opportunity for service auditors to win the trust of security professionals and help them reduce or eliminate the workload that answering customer surveys places on their daily lives. Hopefully we will help them increase their productivity, and contribute to increasing their bottom lines. 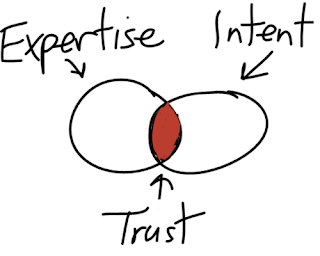 The formula for trust is when expertise intersects with intent. If auditors do a good job of matching security expertise with the service organization's intent of answering their customer's security questions, we will establish trust. Service auditors and security professionals will not get there, however, with a business as usual approach, and a "we can do it all" mentalilty as I discussed in my post title, "Don't Worry, I've Got This." Upload a security questionnaire from your customers, and if you already have a SOC 2 report through one of our CPA firm partners, we'll map it to your SOC 2 controls for you. 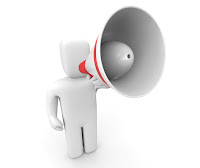 If you have not had a SOC 2 engagement, we will map it to the Trust Services Principles and Criteria for you. Just leave your contact information in the comments field. 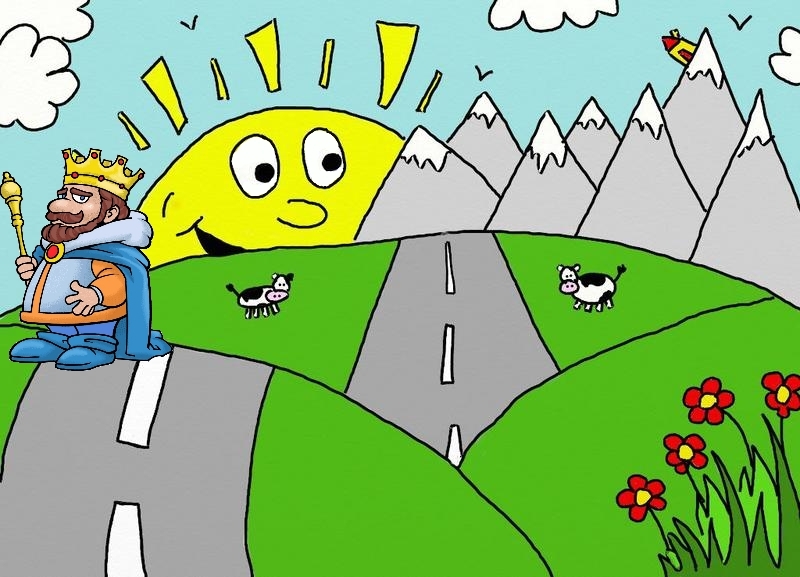 Yesterday, there was a post on Data Center Knowledge titled "Why SOC 1/SSAE 16 is Still the King of the Hill." The post celebrated the fact that data centers chose SOC 1 over SOC 2 in the first 12 months since the launch of SOC reports. This really perplexes me, because my firm belief is that the market missed a huge opportunity by going with the status quo in year 1 of SOC reports. So I asked myself, why would someone celebrate when there is no cause for celebration? Perhaps people do not see how small the hill, that the SOC 1 King sits on, is. So in a climate where data centers are competing fiercely to win the business of SaaS customers, what happened after the launch of SOC reports? Everyone rushed out to get their SOC 2 report, the one that the AICPA said is the right report for cloud security...right? Not exactly. Everyone decided to sit tight and embrace the status quo (please see a partial list of companies that selected SOC 1 over SOC 2 here). The market heard "SSAE 16 replaces SAS 70", and promptly went out and received their SAS 70 replacing SSAE 16 report. I would think that CPAs would be extremely disappointed about this rather than calling for a celebration of the SOC 1 King. 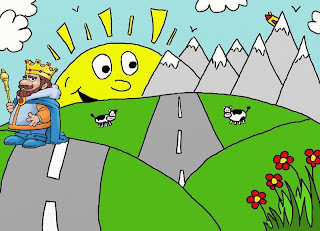 There are some majestic mountains right in front of us, and a King of the Mountain of cloud security has not been crowned yet. 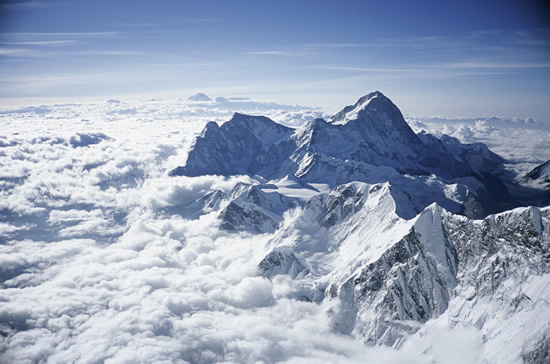 If CPAs do not want to expand their dominion beyond assurance related to internal controls over financial reporting (ICFR), perhaps there is another that can adapt the SOC 2 audit methodology, and establish themselves as King of the Mountain.